Sometimes when I go shopping, I will grab a package of meat (heh heh) with absolutely no plan. Typically, I do this with chicken thighs. They’re easy to cook, versatile and taste good no matter what you do to them. Teriyaki…takes too long to marinade. I’ve been working my way through this fall’s seasonal beers (research for a future blog post…yeah…research) thanks to some create-your-own-six-packs, but I had a couple of Shiner Premium lagers in the fridge that would work. Ideally, I would like a pale ale for a more amber color, but the lager worked fine. And, just as a side note, I made a quinoa blend as a side to give the leftover pan sauce something to do. WHAT WORKED: Simplicity. This was a really easy recipe with five ingredients that you might already having in your fridge or freezer. WHAT DIDN’T: My lack of onion. I think a little onion or shallot would broaden the flavors in the pan. WILL IT MAKE ANOTHER APPEARANCE: Likely. I might give it a try with a pale ale this coming spring when those are in season. 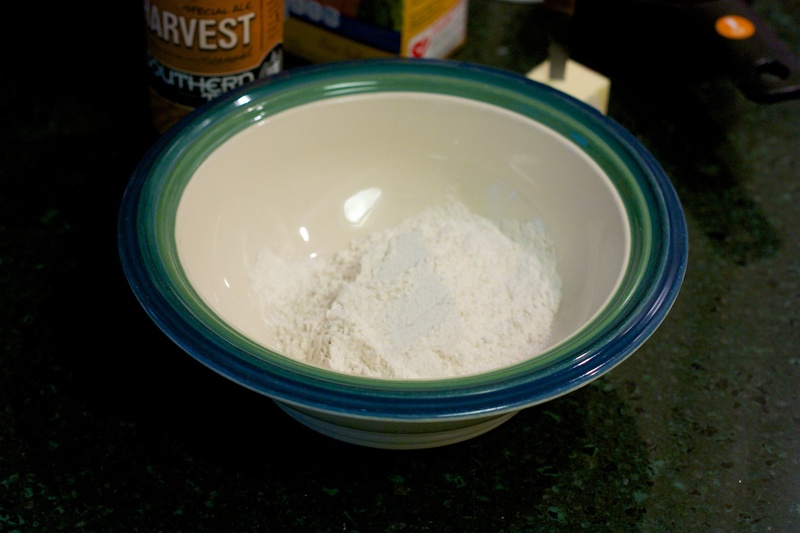 Dredge chicken in the flour to coat and shake off any excess flour. 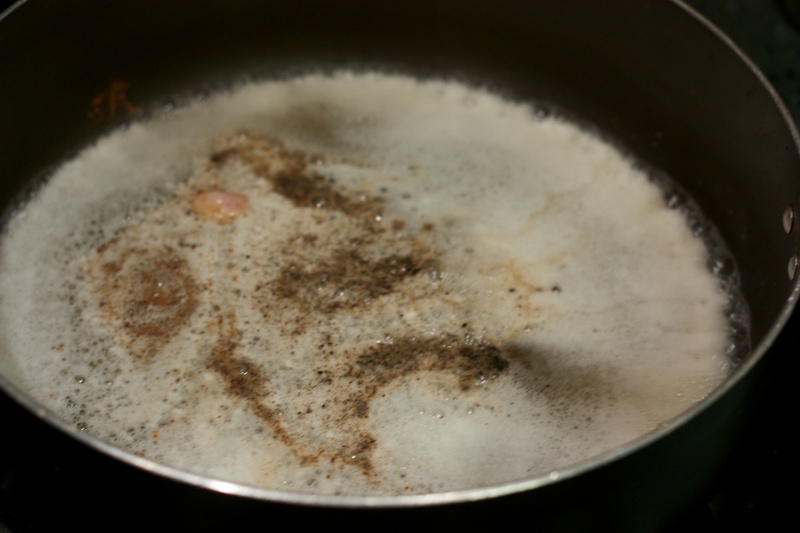 Add olive oil to a large skillet heated over medium burner and heat until it shimmers. Add the chicken, skin down, and cook five minutes. Turn and cook an additional three to five minutes, or until well browned. 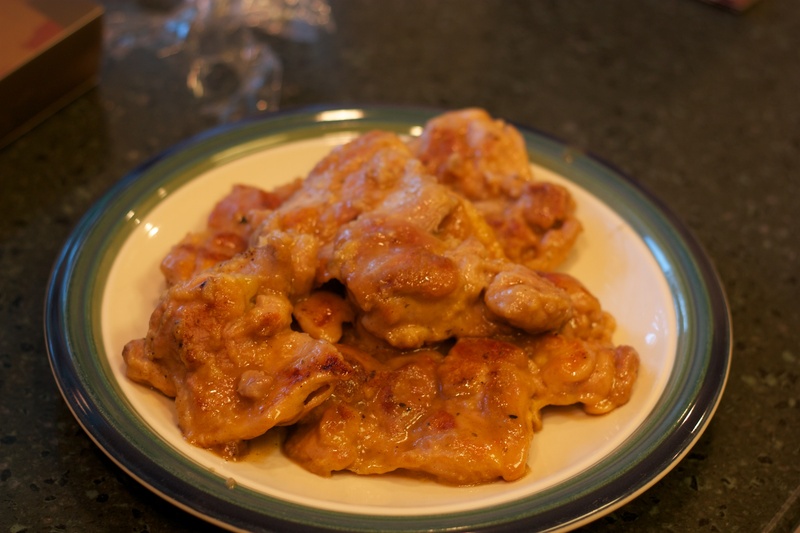 Transfer chicken to a plate. Add the beer and deglaze the pan. Let bubble for two to three minutes, then return the chicken to the pan. Cover and cook 20 minutes. 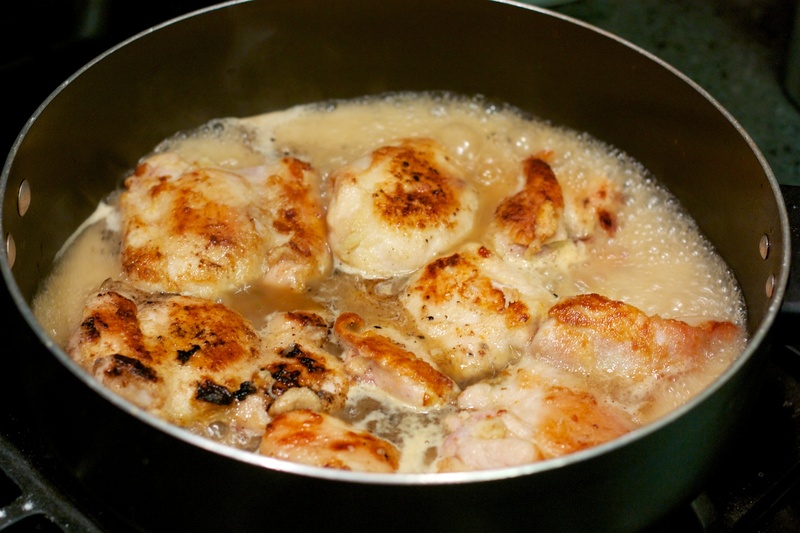 Uncover and remove the chicken from the pan. Add butter and herbs to the pan. Melt and stir to combine. Cook two to three minutes, stirring to keep from sticking. 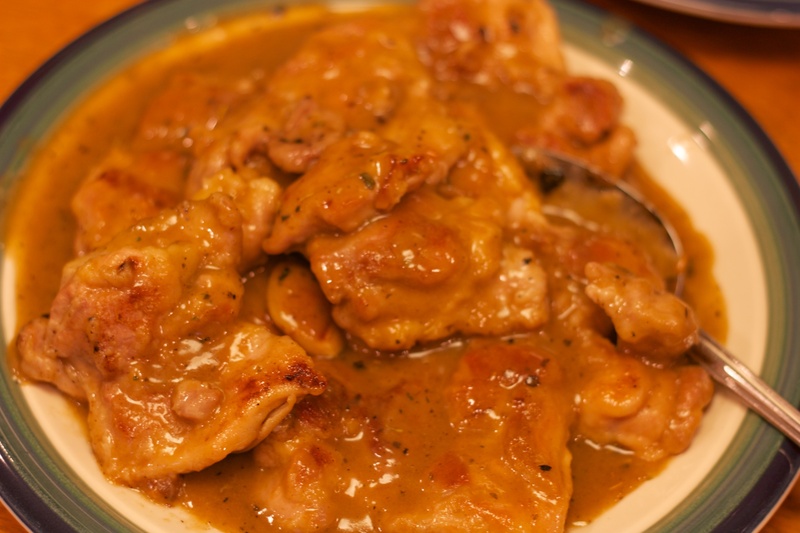 Pour pan sauce over the chicken thighs and serve.